We’d like to introduce Burgundy Oak – a new barrel decor manufacturer based out of Calgary. 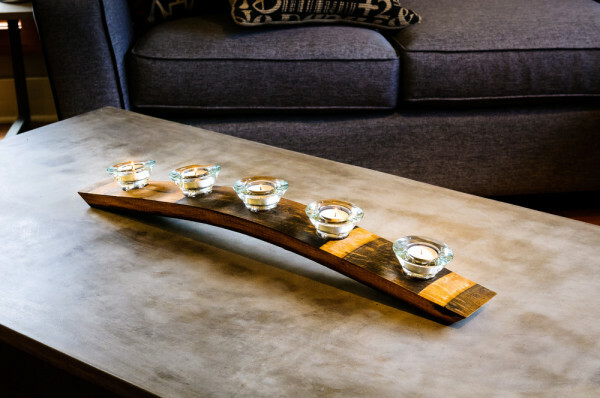 Founded by Joel Jelinski and business partner, Brent Kadler in June 2015, Burgundy Oak uses reclaimed wine barrels to craft gorgeous displays, furniture and beyond. We’re excited to showcase their unique brand and products, plus an additional bonus for WineCollective members! While growing up, Joel says he always had a keen interest in using his hands. He purchased a saw, drill and sander and began his first company in creating shaped candles until his mother asked him for a favour. Upon purchasing a wine barrel, Joel’s mother was in the need of some gifts and so Joel took apart the barrel and made candleholders. Burgundy Oak was born! Through out 2014, Joel, a Civil Engineering student, was working with Cenovus Energy. During his off time, Joel, who was frequently exchanging his ideas with coworker, Brent, began to experiment with more products and gathered customer feedback at local farmer’s markets. As sales and interest increased, and considering the downturn in the oil economy, Joel formally formed his company. Today, Burgundy Oak is increasing in popularity and sales – you may have even noticed them during Calgary’s 2015 Rocky Mountain Wine Fest. Up until recently, Joel has crafted all goods, in house but is now beginning to outsource manufacturing to local artesian woodworkers. French and American Oak barrels are sourced for Burgundy Oak products from various wineries in the Okanagan. Due to some recent demand, the pair are researching options for barrels from specific regions, like Napa Valley. 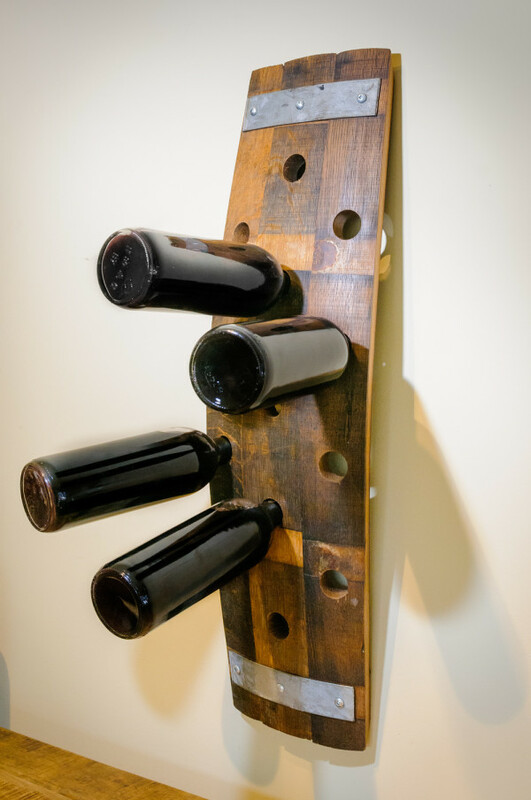 Customer’s have also requested pieces made from a barrel sourced at a particular winery, from their favourite wine. Joel expects to reach these challenges with a special project named, the Signature Series, coming soon! Keep an eye out for more Burgundy Oak and their upcoming products and projects. We also invite you to check out Smoke Barrel – a sister company crafting truly impressive BBQs and Smokers from Burgundy Oak barrels. 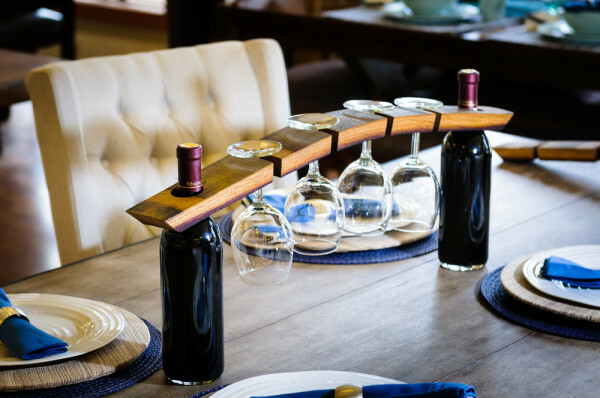 The popular Dual Glass holder is one of Burgundy Oak’s best sellers – visit Highfield to check out the holder along with the full Wine Barrel Cabinet. 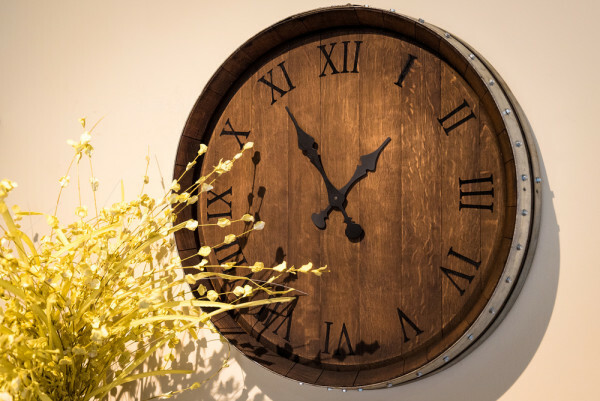 You can view all Burgundy Oak products on their website, including clocks, trays, candle holders and more! WineCollective members can use the coupon code WINECOLLECTIVE25 for 25% off! For more information, check out Burgundy Oak on Facebook and Instagram!